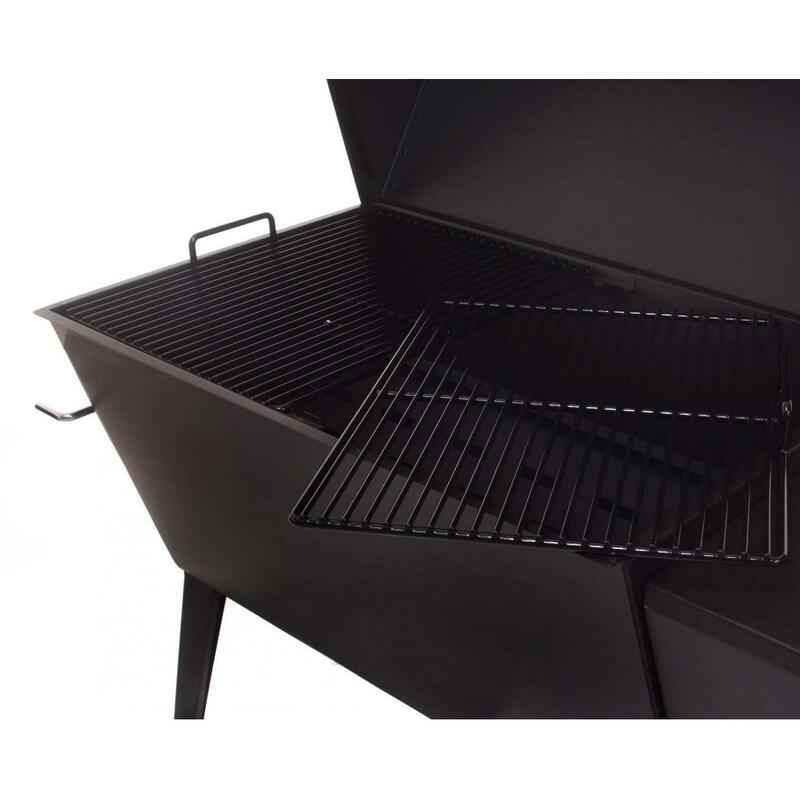 This bbq grill charcoal grill features: heavy 16 guage construction, 468 square inch area, 26 x 18 one-piece cooking grid, adjustable aluminum air vents, adjustable charcoal tray, and removable ash pan. 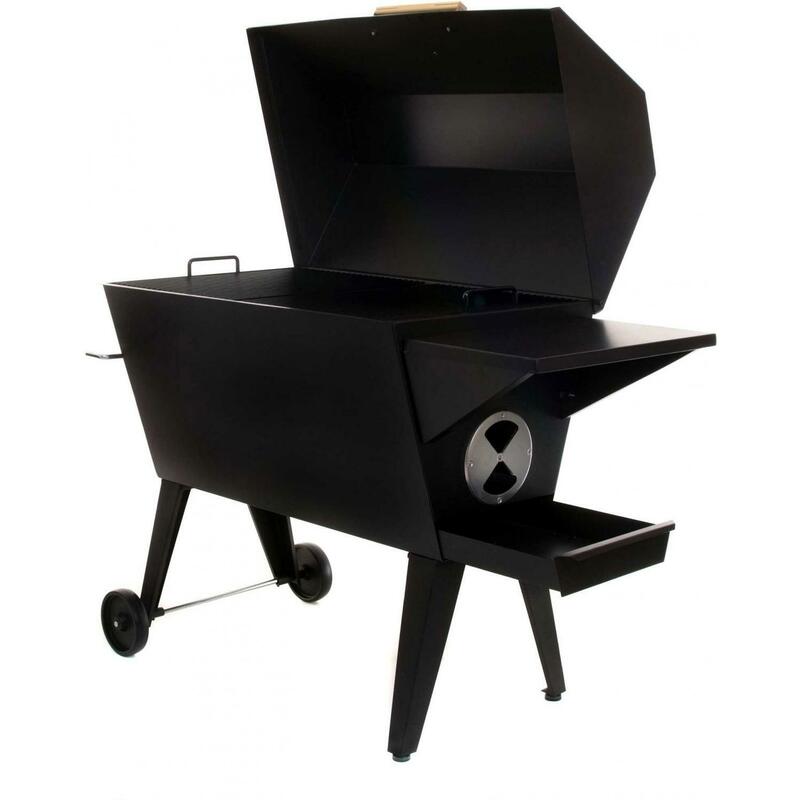 This BBQ Charcoal Grill is probably the last charcoal grill you ll ever buy! The Cajun Grill is built to cook for a lifetime. After years of fine-tuning, today s Cajun Grill is welded to meet tough strength and quality standards. Assembled overall dimensions: 39 inches wide x 19 inches deep x 38 inches high. 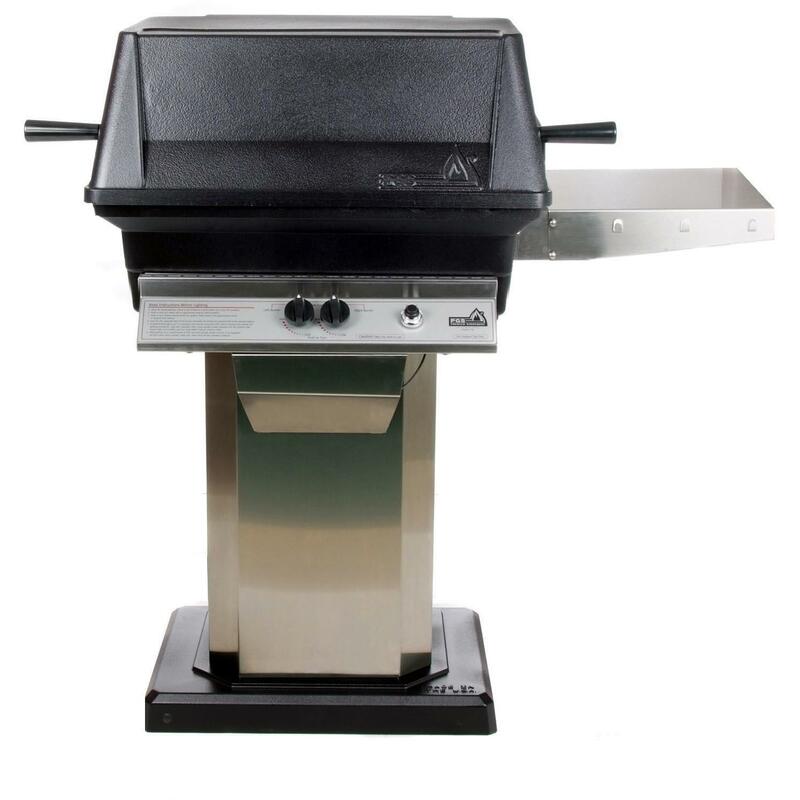 This MHP propane gas grill features a high profile, thick, permanent mold cast aluminum housing, 433 1/2 square inches of primary grill area (642 total area including stainless warming rack), 40,000 BTU stainless H-type dual burner, 5/16 inch two-piece stainless cooking grids, Nu-Stone fixed side shelf and electronic ignition. Includes stainless column and black, cast aluminum base with 8 inch wheels and locking casters. Includes propane hose and regulator with fuel level gauge and stainless grease cup for easy clean-up. Some assembly required. This MHP natural gas grill features a high profile, thick, permanent mold cast aluminum housing, 433 1/2 square inches of primary grill area (642 total area including stainless warming rack), 40,000 BTU stainless H-type dual burner, 5/16 inch two-piece stainless cooking grids, Nu-Stone fixed side shelf and electronic ignition. Includes stainless column and black, cast aluminum base with 8 inch wheels and locking casters. Includes 12ft hose with quick disconnect coupler and stainless grease cup for easy clean-up. Some assembly required. This PGS Grill A30 Cast Aluminum Grill features a cast aluminum housing, 30,000 BTU stainless steel dual-control H-burner, Sure Start electronic ignition, 1/4 inch stainless steel rod cooking grids, ceramic moon rocks for even heat distribution, porcelain coated steel moon rock tray, 330 square inches of main cooking area, and 121 square inch warming rack. 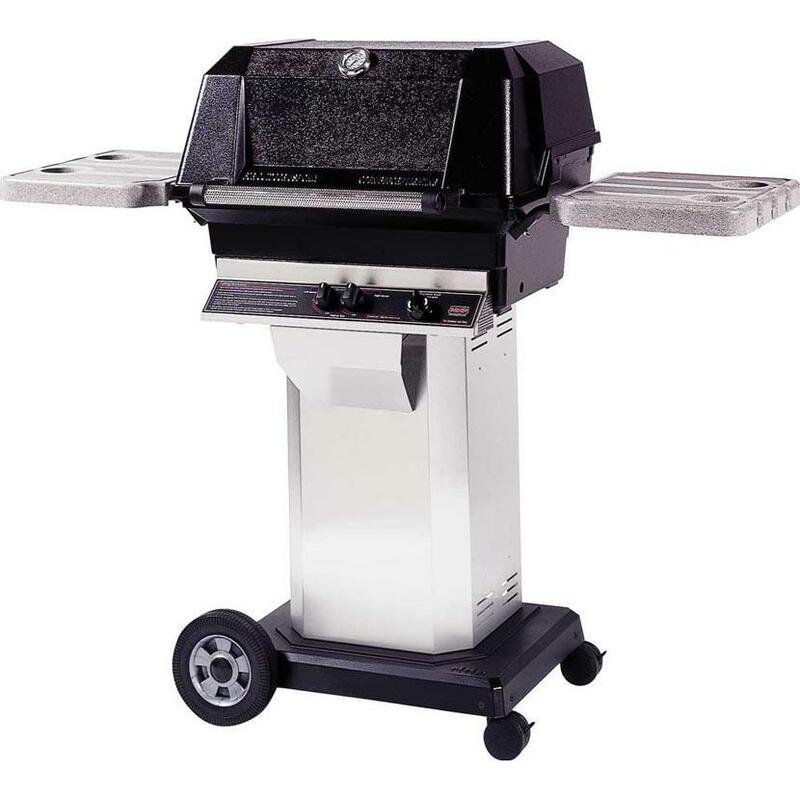 This A30 gas grill also includes one stainless steel side shelf, stainless steel pedestal, and black flat patio base. Propane regulator and hose included. This PGS Grill A30 Cast Aluminum Grill features a cast aluminum housing, 30,000 BTU stainless steel dual-control H-burner, Sure Start electronic ignition, 1/4 inch stainless steel rod cooking grids, ceramic moon rocks for even heat distribution, porcelain coated steel moon rock tray, 330 square inches of main cooking area, and 121 square inch warming rack. 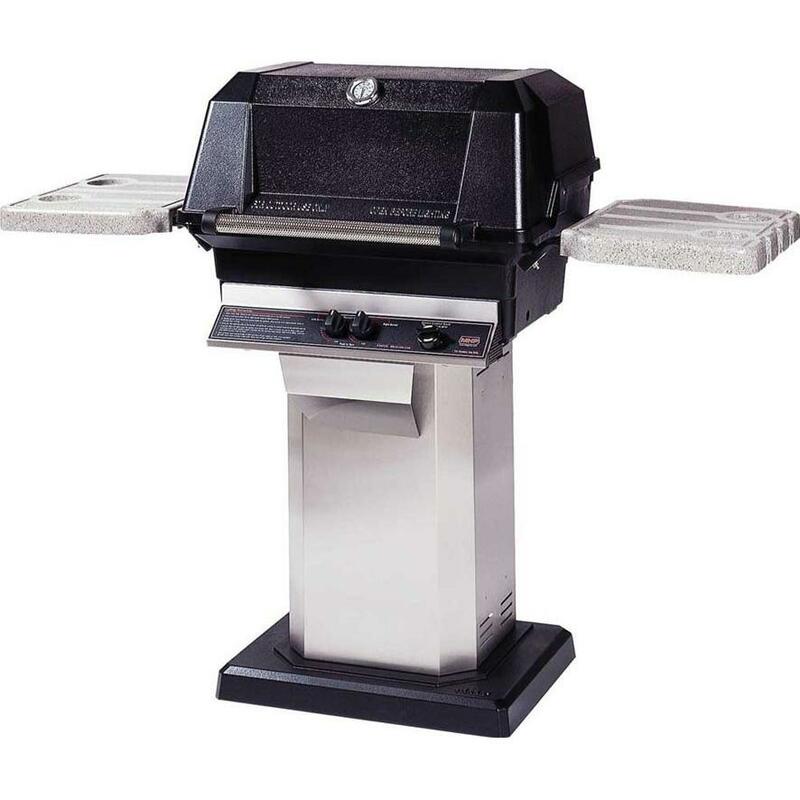 This A30 gas grill also includes one stainless steel side shelf, stainless steel pedestal, and black flat patio base. Natural gas hose included. This PGS Grill A30 Cast Aluminum Grill features a cast aluminum housing, 30,000 BTU stainless steel dual-control H-burner, Sure Start electronic ignition, 1/4 inch stainless steel rod cooking grids, ceramic moon rocks for even heat distribution, porcelain coated steel moon rock tray, 330 square inches of main cooking area, and 121 square inch warming rack. 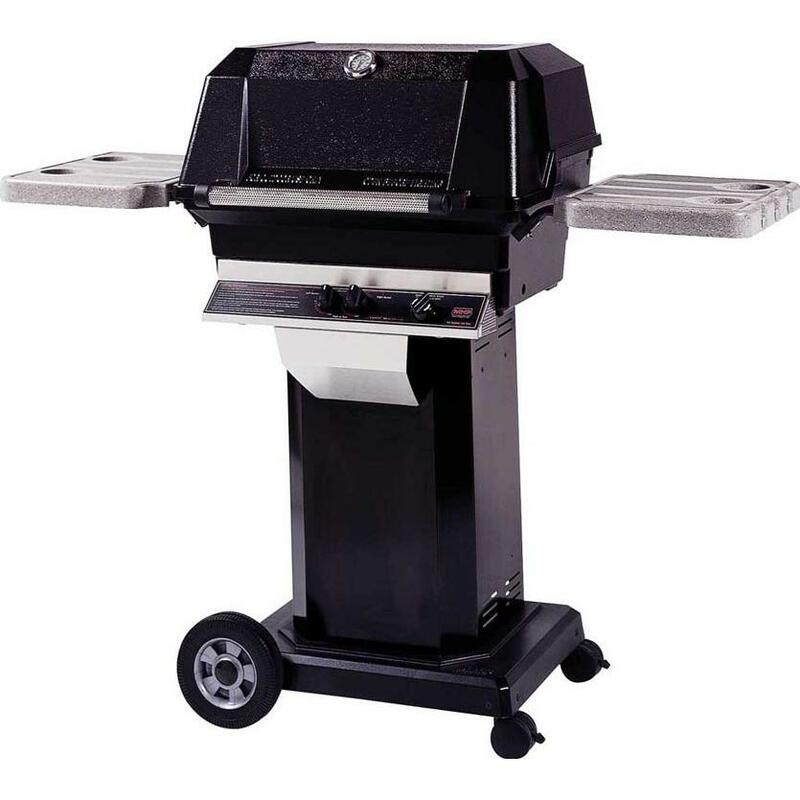 This A30 gas grill also includes one stainless steel side shelf, stainless steel pedestal, and portable base with two solid rubber wheels and two casters. Propane regulator and hose included. This PGS Grill A30 Cast Aluminum Grill features a cast aluminum housing, 30,000 BTU stainless steel dual-control H-burner, Sure Start electronic ignition, 1/4 inch stainless steel rod cooking grids, ceramic moon rocks for even heat distribution, porcelain coated steel moon rock tray, 330 square inches of main cooking area, and 121 square inch warming rack. 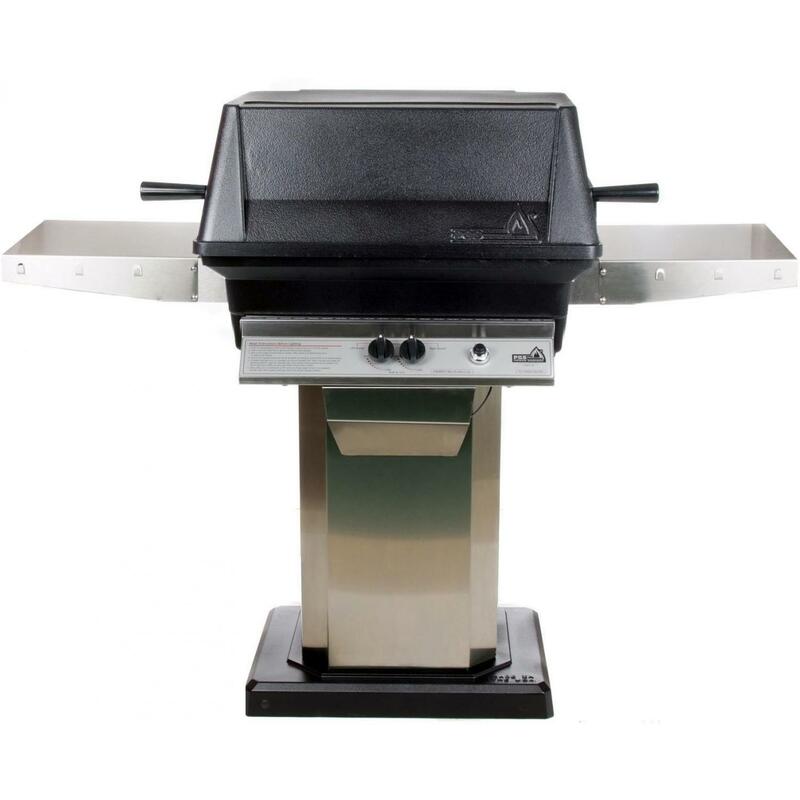 This A30 gas grill also includes one stainless steel side shelf, stainless steel pedestal, and portable base with two solid rubber wheels and two casters. Natural gas hose included. This PGS Grill A40 Cast Aluminum Grill features a cast aluminum housing, 40,000 BTU stainless steel dual-control H-burner, Sure Start electronic ignition, 5/16 inch stainless steel rod cooking grids, ceramic moon rocks for even heat distribution, porcelain coated steel moon rock tray, 434 square inches of main cooking area, and 178 square inch warming rack. 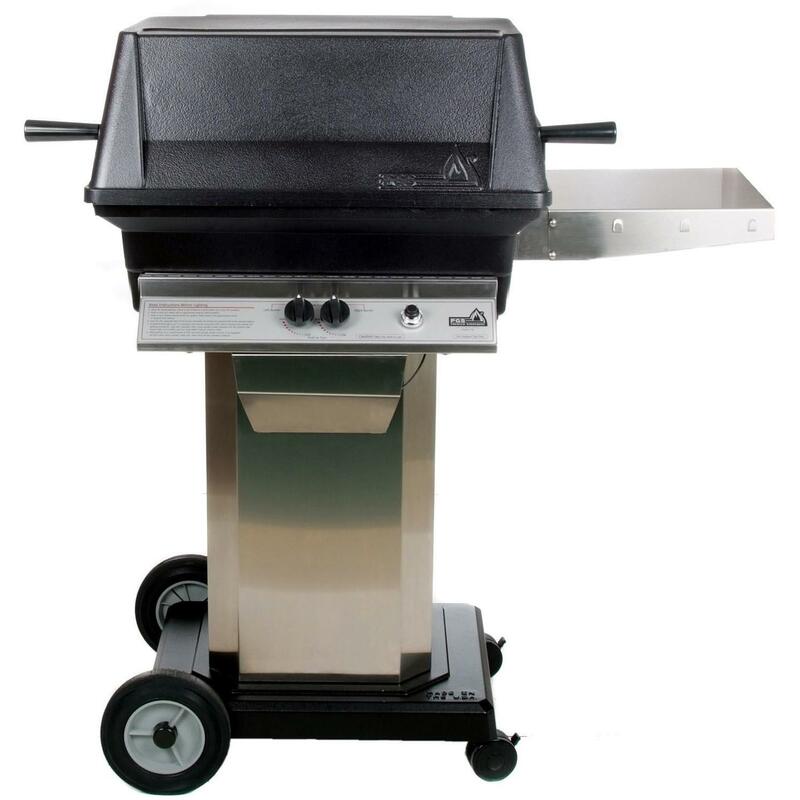 This A40 gas grill also includes two stainless steel side shelves, stainless steel pedestal, and portable base with two solid rubber wheels and two casters. Propane regulator and hose included. This PGS Grill A40 Cast Aluminum Grill features a cast aluminum housing, 40,000 BTU stainless steel dual-control H-burner, Sure Start electronic ignition, 5/16 inch stainless steel rod cooking grids, ceramic moon rocks for even heat distribution, porcelain coated steel moon rock tray, 434 square inches of main cooking area, and 178 square inch warming rack. 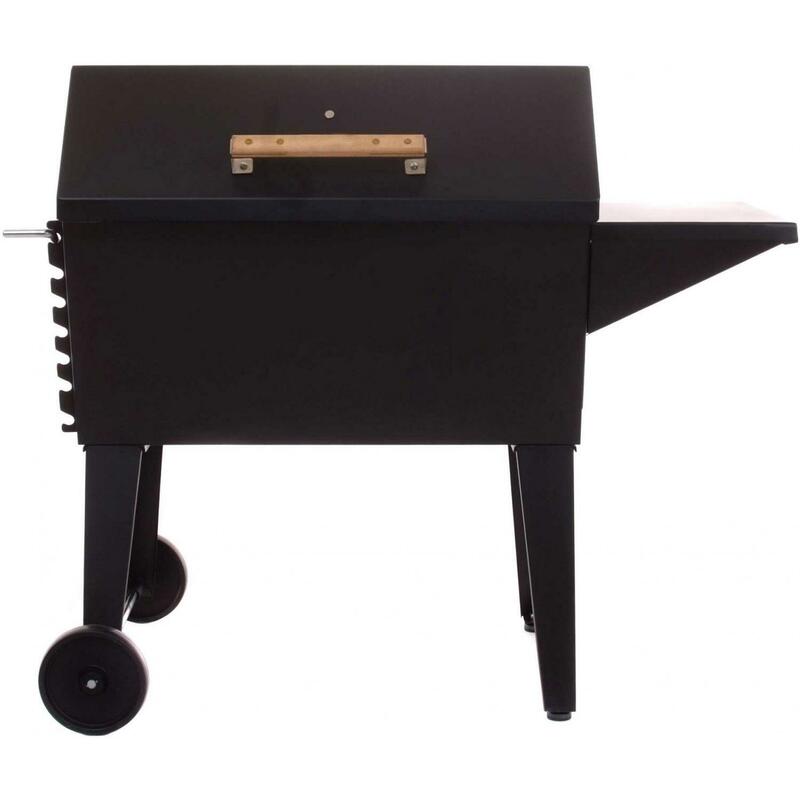 This A40 gas grill also includes two stainless steel side shelves, stainless steel pedestal, and black flat patio base. Natural gas hose included. This PGS Grill A40 Cast Aluminum Grill features a cast aluminum housing, 40,000 BTU stainless steel dual-control H-burner, Sure Start electronic ignition, 5/16 inch stainless steel rod cooking grids, ceramic moon rocks for even heat distribution, porcelain coated steel moon rock tray, 434 square inches of main cooking area, and 178 square inch warming rack. This A40 gas grill also includes two stainless steel side shelves, stainless steel pedestal, and black flat patio base. Propane regulator and hose included. This PGS Grill A40 Cast Aluminum Grill features a cast aluminum housing, 40,000 BTU stainless steel dual-control H-burner, Sure Start electronic ignition, 5/16 inch stainless steel rod cooking grids, ceramic moon rocks for even heat distribution, porcelain coated steel moon rock tray, 434 square inches of main cooking area, and 178 square inch warming rack. 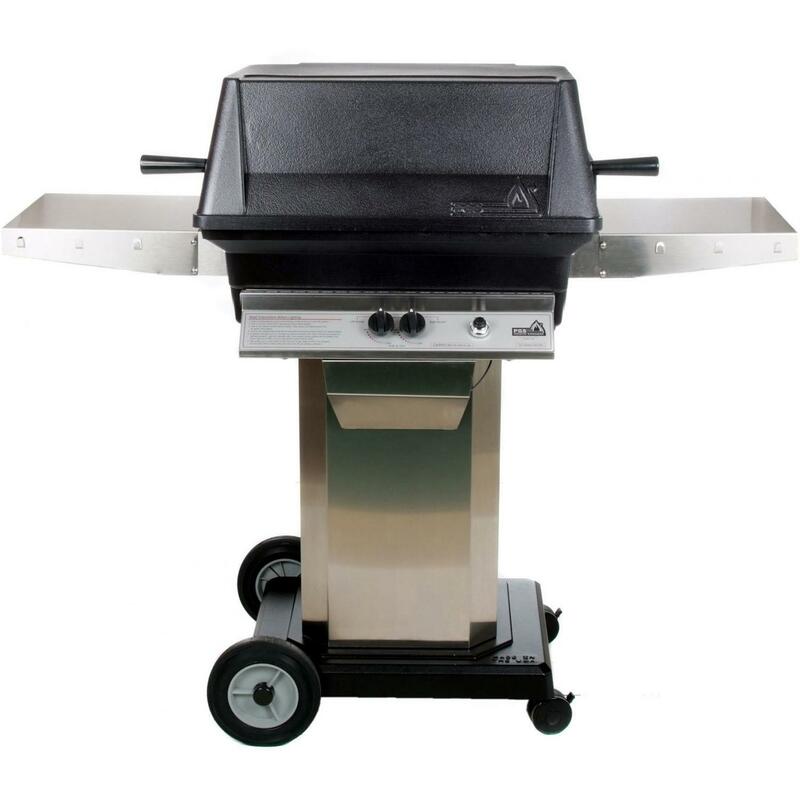 This A40 gas grill also includes two stainless steel side shelves, stainless steel pedestal, and portable base with two solid rubber wheels and two casters. Natural gas hose included.